Your compassionate leave policy, also known as a bereavement leave policy, should set out how much paid and/or unpaid leave bereaved employees are entitled to and the process they should follow to request this. Every employee will experience a bereavement at some point during their working lives, and research indicates that one in ten employees are likely to be affected by bereavement at any one time. So it’s important to have thought through how you will handle the scenario of a bereaved employee, and to have documented this in a policy. What to include in a compassionate leave policy? The situations in which the policy comes into effect. 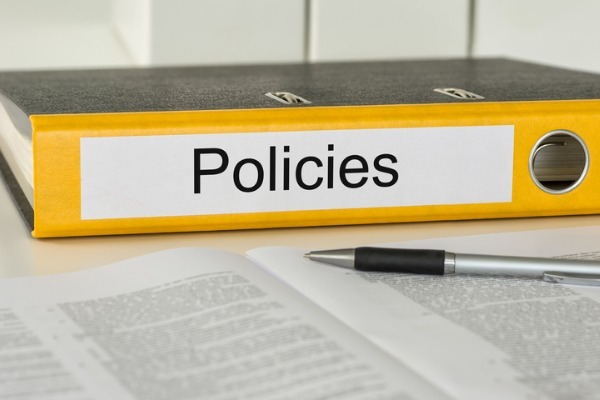 The extent to which the policy offers a set of guidelines, and that there is room for flexibility. Whether leave will be paid, or unpaid, and how much is likely to be offered. Typically, 3-5 days leave are offered to employees that have lost an immediate family member. The procedure for requesting compassionate leave. What other arrangements may be available to the employee, such as a phased return to work or flexible working. The consequences of abusing the policy. As there’s no legal obligation to provide compassionate leave, the onus is on the employer to determine how much leave they will offer, and whether it will be paid. Whatever the decision, it’s important that the approach is adopted consistently. This is where having a compassionate leave policy becomes invaluable. Guides managers in handling compassionate leave requests objectively and fairly. Documents your approach, helping to mitigate allegations that you have treated one employee more favorably than another. Helps you to position yourself as a compassionate employer that cares about employee wellbeing – an important ingredient in building strong employee relations. Alleviates additional stress for the bereaved employee, who will understand what they’re entitled to ask for. Asking for time off can be challenging at the best of times, a policy helps the employee to know where they stand. Perhaps the hardest aspect of creating a compassionate leave policy is the fact that every experience of bereavement differs. A one size fits all approach fails to accommodate for this variation. That’s why your policy should allow for, and communicate to employees, that there is room for flexibility. You should set out how each case will be assessed fairly, but with respect for variations in individual circumstances. Offering a degree of sensitivity towards individual needs is particularly important if you are keen to foster a positive company culture and build loyalty amongst your staff. Our HR consultants can help you to shape your compassionate leave policy in a way that best supports your business needs. Get in touch today to find out more about how they can help. Our HR software also offers a cloud-based solution for centralising all your HR policies, and an easy way to keep track of all different types of leave and absence in your business. Find out more about our easy to use software.